In the mid-1980s, there were several reasons to crack open the champagne in Mattighofen. 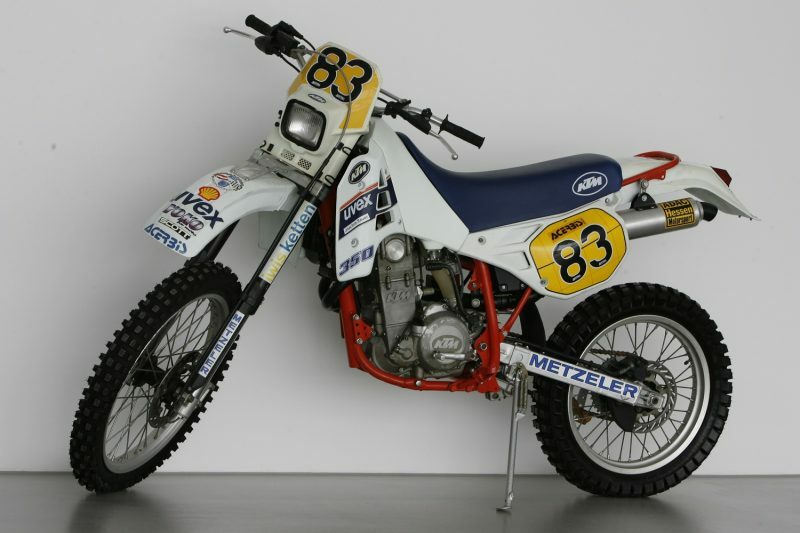 In 1985, Heinz Kinigadner became the world champion in the 250cc motocross class for the second time, while back in the factory, the 100,000th KTM engine – a newly developed half-liter 2-stroke motor delivering 60 hp – rolled off the production line. 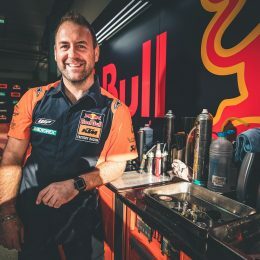 A few years earlier, KTM had recognized that the increasingly stringent limits on exhaust emissions and noise could not be adhered to with a conventional 2-stroke engine. In motorsport too, the trend had returned to developing 4-stroke engines, which had been forced to make way for super-lightweight and much more easily manageable 2-stroke models in the 1960s. Unsurprisingly, KTM’s R&D department came up with the perfect answer. While its predominantly Far Eastern competitors were churning out nothing but air-cooled single-cylinder engines that had originally been designed for road-legal Enduro bikes, KTM began developing an ultra-modern 4-stroke engine in 1982 based on the 500cc 2-stroke housing. 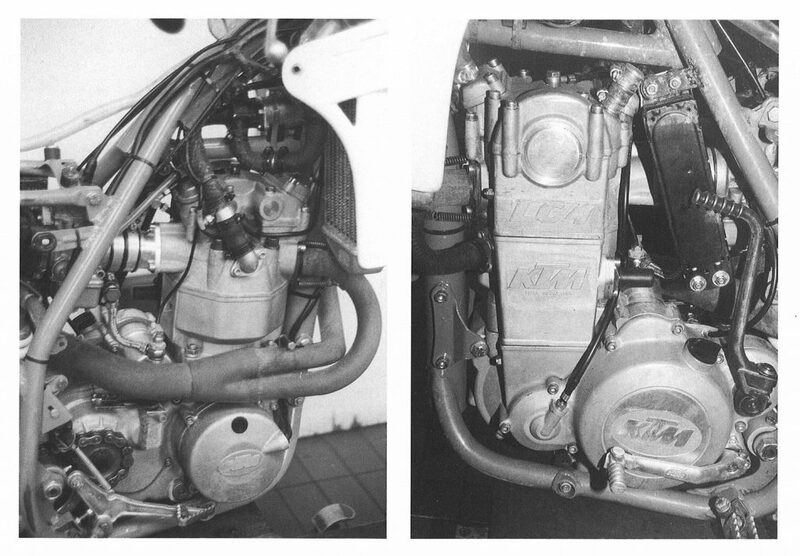 The name of this engine was also a reference to its design: LC4 – liquid-cooled 4-stroke. After five years of development, series production of the LC4 began and a 553cc version made its debut for Enduro racing in 1987: the 600 GS LC4. 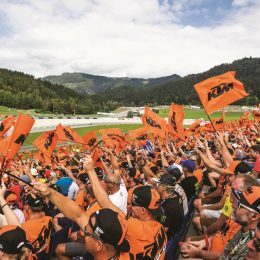 Following its launch, the LC4 engine turned out to be an absolute sensation: Joachim Sauer and Gianangelo Croci won the European Enduro Championship in the 350cc class and large class respectively, completely off the cuff. KTM had achieved a fine balance between lightweight 2-stroke engines and bikes lugging around their cumbersome four-stroke units. From then on, low weight and smaller dimensions were inexorably associated with valve-controlled engines too – at least when they came from Mattighofen. The Enduro version of the LC4 weighed just 20 kilograms more than the 250cc 2-stroke machine from the same year, and was 15 kilograms lighter than that of its Japanese competitors. Of course, the aim was not only to design highly sought-after competition bikes, but also a concept that was suitable for the everyday and that would master both challenging terrain and popping down to the store. However, the LC4 had a long way to go before it could demonstrate its unrestricted mastery on everyday roads that we see in today’s LC4 generation of 690cc singles. The problematic starting behavior in particular is now a thing of the past – kickstarting the hot engine was often a strenuous activity. This meant that valuable seconds were rapidly lost during a competition, which could cost the rider a good place at the end of the race. Simply pressing a button on the E-starter was an unimaginable prospect back then. Once again, the factory team proved to be the best testing environment for the latest development out of Mattighofen. Joachim Sauer, one of the LC4 factory riders, was actually a KTM development engineer too, and was able to use his experiences from the race weekend to implement suitable improvements come Monday morning. All the rough edges at the start were smoothed out, leaving the current LC4 generation as the epitome of what a 4-stroke single should be. When KTM was relaunched under new management as KTM Sportmotorcycle GmbH in 1992 (following the financial difficulties of the previous regime), the LC4 engine formed the basis for a new generation of motorcycles aimed at zealous Enduro enthusiasts – and the hard Enduro concept was born. The original philosophy of “Only the essentials – but only the finest essentials” still rings true to this day. Any non-essential components were left out as a matter of course, meaning the purchaser had to go without that E-starter or balancer shaft right from the start. The Enduro World Championships secured by Mario Rinaldi, Gio Sala or Fabio Farioli contributed significantly to the popularity of the LC4 engine, which was recently used in Super Competition models. With owners of the large capacity single-cylinder street engine looking on in envy at the modern LC4 of the offroaders, one of the first things unveiled by KTM after its rebirth was the DUKE: a masterclass in cornering excellence. When KTM introduced a completely new generation of 4-stroke racing engines in 2000 with the EXC racing models, the mature LC4 remained the one to beat in the Dakar Rally. Only when the displacement was reduced to 450cc a few years ago did the 690 LC4 engines disappear from the list of winners. 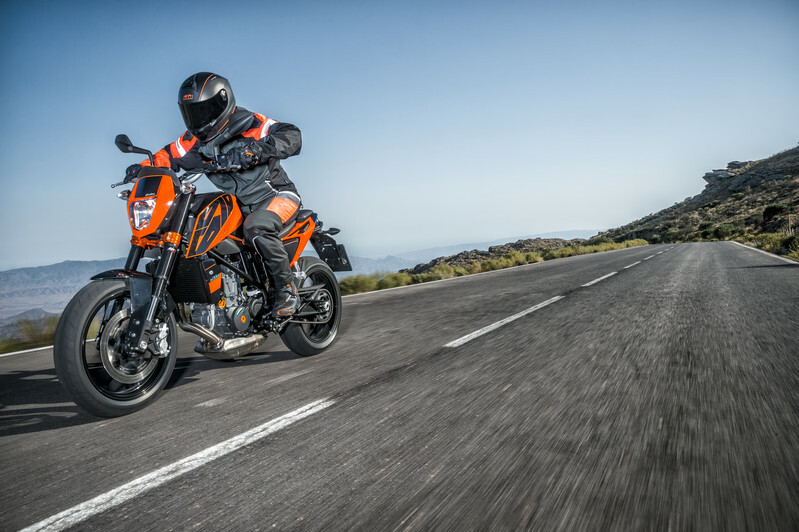 Today, the powerful single-cylinder motor is the beating heart of the KTM 690 ENDURO R and provides for offroad fun on the road in the KTM 690 SMC R. The KTM 690 DUKE, the legitimate successor of the cult classic from 1994, firmly cements the current version as the world’s strongest single-cylinder production bike at the cutting edge of motorcycle engineering. The Duke changed my life. After decades of pedestrian and automotive life I decided to start motorbiking again. I rented a 2008 Duke for three days back in August, 2016. It was a sweet (and a very fast) holiday. I rode the curvy roads of my youth and never looked back. It took me and the Duke 30 minutes to grow together. 500 kilometers without a glitch. Well, of course the vibration was bad on a highway, but when I’ll get to buy a new specimen, the balancing shaft will take care of that. Last year I bought another four-stroke single, but that’s another story. 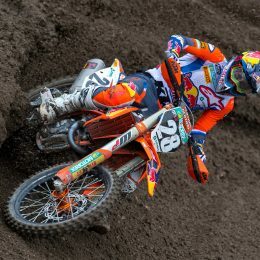 waww…KTM very nice motorcycle, I love engine Ktm. Proud to have being a part of it….